Depths and layers. It’s true. On the surface, Biotime is a straightforward story about a detective who is framed for the murders of 10,290 mothers, babies, medical staff and visiting family members in a Santa Monica neonatal unit and has to prove his innocence. The background is Biotime itself – a life-exchange fluid of which one gram equals one year. Great news, right? No-one ever need be poor again – in theory. If you’re short of cash you can sell some of your life expectancy to someone else. Ditto, the rich need never die – provided they can keep producing enough wealth to buy Biotime to live until eternity. The world of Biotime is hyper-capitalist. But unlike pale imitations such as In Time (good premise, poorly executed) people don’t go on behaving as in today’s world. In Biotime, although things look familiar, everything has changed. That change is encapsulated in the opening quote by Steve Jobs: “Death is very likely the single best invention of life“. When I first read that quote, I wondered if Steve Jobs had read Biotime himself. Here are 7 ways Biotime explains the meaning of life. 1. Supposing you learned that, although apparently in perfect physical health, you only had another six months to live. You’d be motivated to live those six months to the full, right? Travel. Write your novel. Make love. You’d want to live even more intensively if you only had six weeks. Or six days. Or six hours. But suppose you discovered that, through a genetic accident or the invention of Biotime, you were able to live indefinitely. What would be the hurry to do anything? How would you motivate yourself to stay creative? How long would you want to remain in a relationship with the same person? Hence the quotation at the start of Chapter 21: Over 400? Can’t remember your childhood or your first wife? Call Memory ServicesTM for an update! 2. That’s why in Biotime, the One Life movement has sprung up. One Lifers argue that consumption of Biotime destroys creativity; and insist on dying at the end of their natural lifespan. In Biotime, all rock musicians and the best bankers are One Lifers. That is why the One Life Trust in Grassy Butte, North Dakota is not only the financial institution which made most money from the abolition of the cash dollar; but has a policy of playing rock in the banking hall at ear-bleeding volume. That is why the One Life Army, with its pledge to destroy what it terms the Biotime Oppression, is the most feared and mysterious terrorist organisation in the world – more frightening even than the Orissan Barefoot Army or the British Government in Exile. 3. Just how are creativity and mortality related? Would the immortal rich have children if they knew they had to age nine months to do it? How would teenagers feel about having to spend the years 15-18 unconscious, contributing Biotime, in order to have the right to consume a product which meant they never had to age a day after their 18th birthday? Might their parents welcome their absence? 4. Most important: if some people have eternal life, how do you prevent it from destroying society? And what if you fear society has already been destroyed? In Biotime, society is more deeply broken than anyone can imagine. Yet no-one realises. Sound familiar? 5. Biotime is science fiction: not in the spaceships and time machines mode of the wonderful Isaac Asimov but in the dark, why-we-should-worry-where-we’re-heading tradition of George Orwell – with a hint of the late lamented Sir Terry Pratchett and an occasional nod towards the equally late lamented Douglas Adams (check out his argument about a sentient puddle at the link). 6. You may think our present world is out of control. Wait until you encounter Biotime. 7. Eventually, 80% through the book, the meaning of life will begin to emerge. Two clues: “Come celebrate with us”. And “The Kiss”. You can see them brought together in Vienna – the wonderful, beguiling city of Freud, Klimt and Mozart where Biotime reaches its spectacular conclusion. Editor’s note: I’m afraid that WordPress has somehow destroyed the paragraph spacing in this post. I’ve tried to make it readable again but with mixed results. If anyone knows a non-geeky way of fixing this, all advice gratefully received. 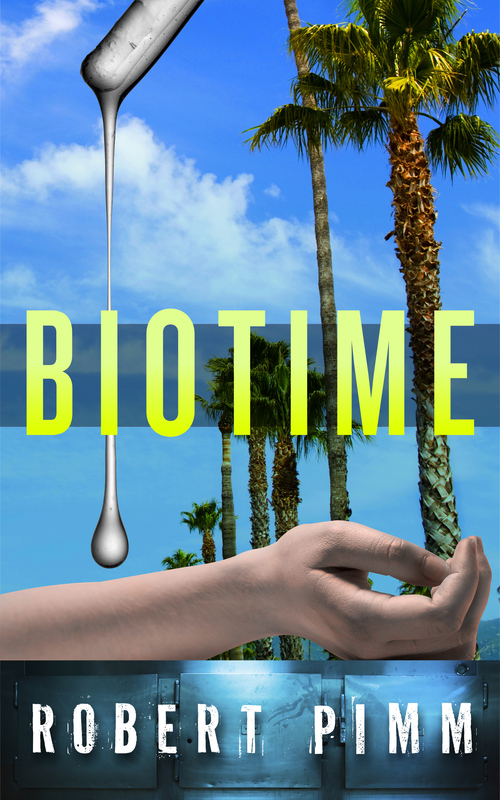 I hope you’ve enjoyed this blog about my novel “Biotime”. If you’re interested in hearing about further episodes, follow this blog by e-mail (top right, “click here”); or follow me on Twitter @RobertPimm (left hand side). I can promise you a fun ride. If you’d like to read some complete fiction by me, see what you think of my “wonderful, feminist and dark” Hotel Stories. By Robert Pimm in Existential - and women, Fiction: Biotime, Writing: about writing on 18/02/2015 . Biotime (then known as The Style Wars) was the first thing I read by Robert Pimm, back in 1990. I still think it is the best thing he has written. For all the reasons above and more.